Black phosphate finish for increased durability & good corrosion resistance. Comes complete with a Phillips No.2 insert bit. No need for countersinking, which in turn minimises the damage to the surface of the Plasterboard. 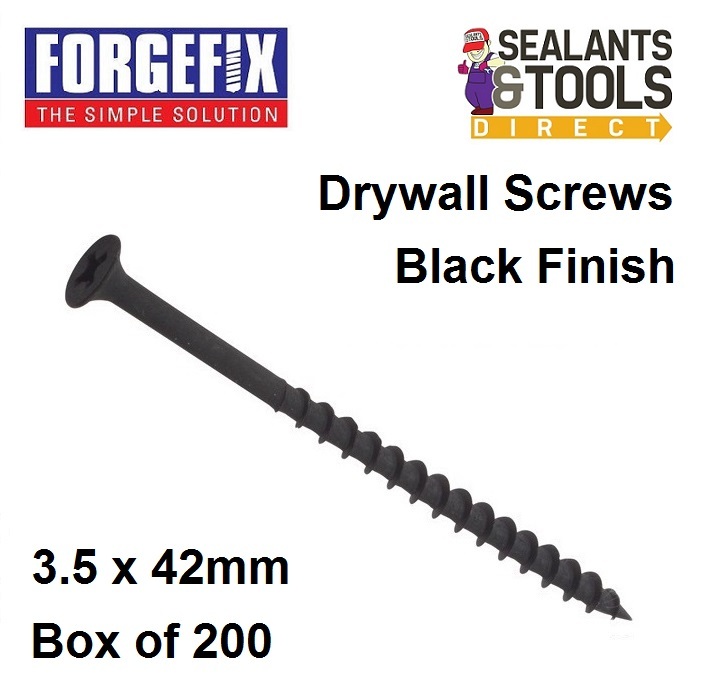 Designed for fitting drywall dry linings to studding. Have an extremely sharp point and are designed to penetrate plasterboard skin. The coarse thread eases in to the board then the timber baton holding the board firm.